The best office cleaners are the ones you forget about. We take great pride in rarely hearing from our customers. In the office cleaning business, it's a compliment to be forgotten. BlackHawk Janitorial Services LLC provides professional and thorough office cleaning for all types of businesses in the County. We've been cleaning offices in the area since 1989. A clean office is a good reflection on you. BlackHawk Janitorial Services LLC cleans everything from floor to ceiling, even the hard to reach spots. Call (678) 250-5068 to speak with one of our office cleaning specialists. We've been cleaning businesses in the Atlanta metropolitan area for 30 years. Are you providing a healthy work environment? A clean office is a healthy office when it's cleaned by the professionals at BlackHawk Janitorial Services LLC. We get rid of dirt, dust, germs, and grime using environmentally-safe products. BlackHawk Janitorial Services LLC disinfects surfaces that are touched frequently throughout the work day (like door handles, restroom surfaces, cafeteria and/or break room areas), to reduce the spread of harmful contagions. A clean office also reduces the likelihood of pest problems, particularly in break rooms or in company cafeterias. A clean office provides a healthy, pleasant work environment. The office cleaning specialists at BlackHawk Janitorial Services LLC have been keeping commercial properties clean and germ free for more than 30 years. 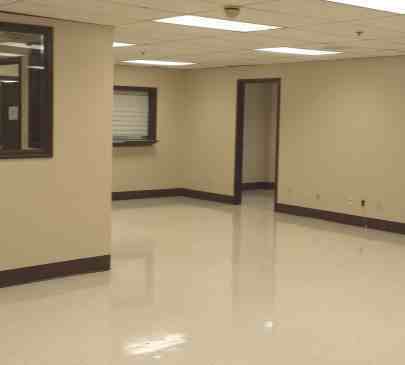 Call (678) 250-5068 to find out more about our office cleaning maintenance plans. We clean, so you can shine. You'll never see us, but you'll know we were here. BlackHawk Janitorial Services LLC provides discreet office cleaning that won't interfere with your hours of operation. Your office cleaners will arrive after hours and follow the checklists provided by their capable supervisors. BlackHawk Janitorial Services LLC has been in the office cleaning business since 1989. Call (678) 250-5068 to find out how we can make you shine.